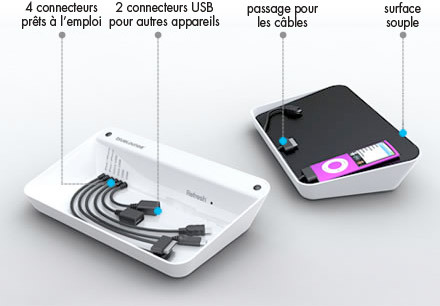 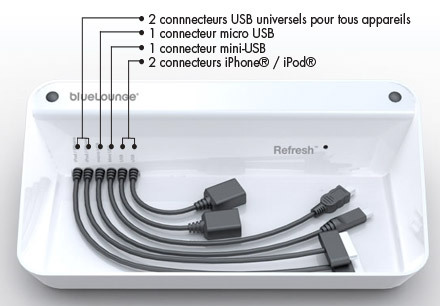 Extremely well designed, the Refresh charging station has its own power supply and its own cables. 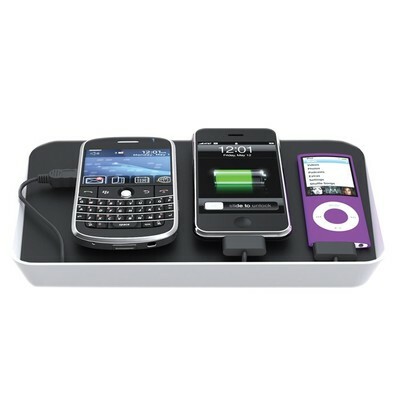 This means you can put your mobile phone to charge whilst leaving your usual charger in your bag or in a another room. 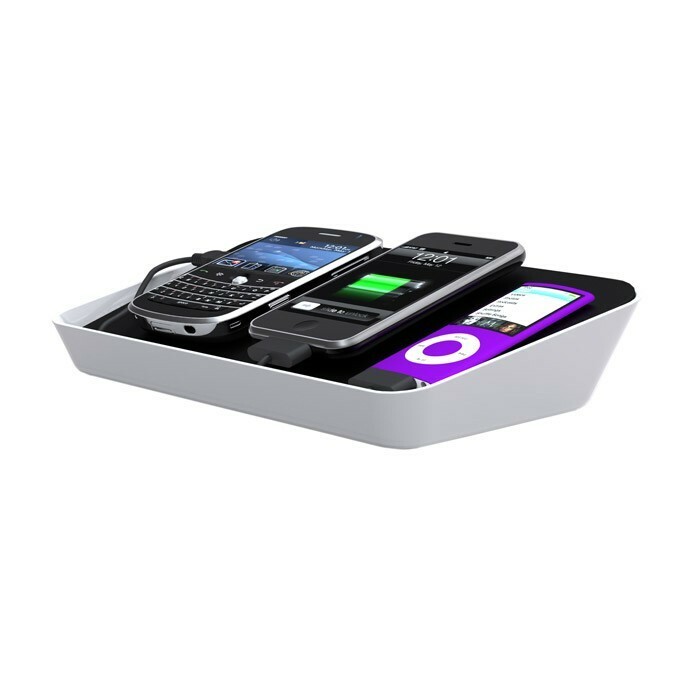 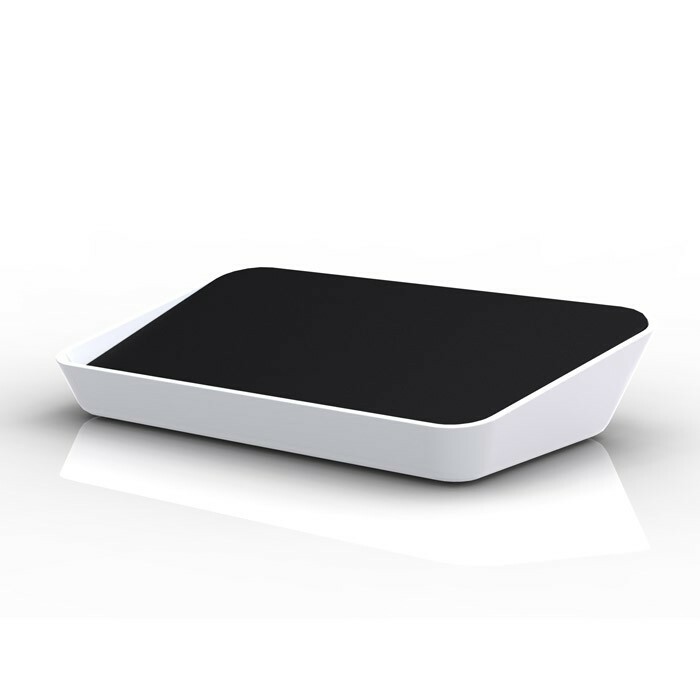 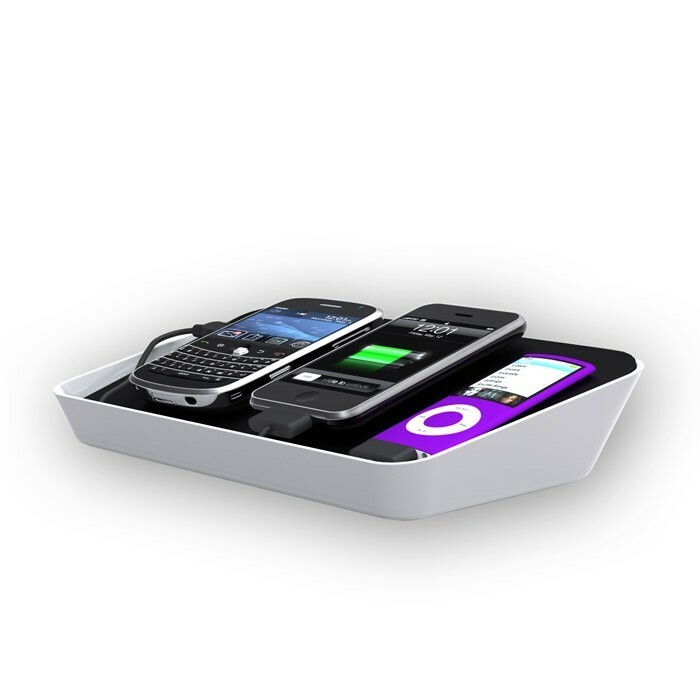 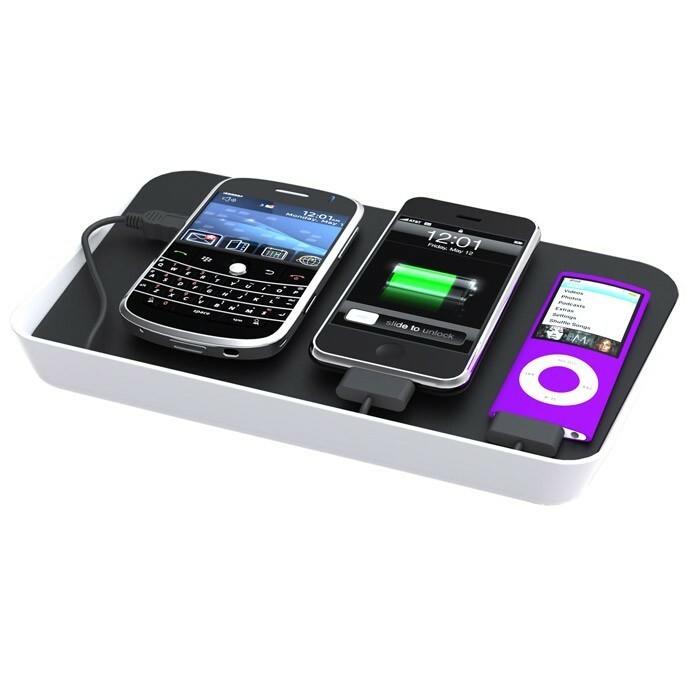 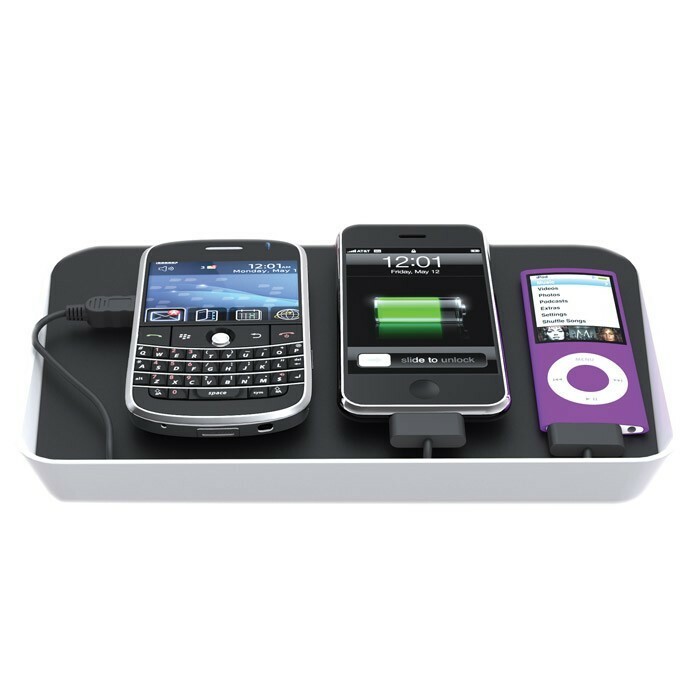 Covered with a soft removable surface to remove or hide cables (attached with 2 small magnets), it can accommodate 3 to 4 devices (depending on their width) charging simultaneously.